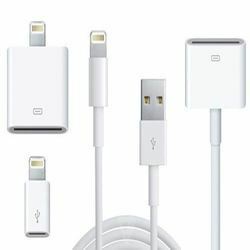 We are a leading Wholesale Trader of mini display port to hdmi adapter, usb to ethernet adapter, mini display port to vga adapter, usb lightning cable, cadyce networking peripheral and apple accessories from Mumbai, India. Mini Display Port To HDMI Adapter With Audio Support(CA-MDHDMI). 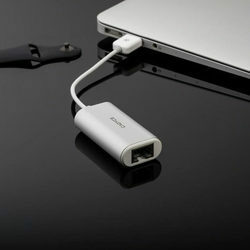 The Mini DisplayPort to HDMI adapter enables you to connect any HDMI interface to embeded device (Monitor or Projector) with a MiniDisplay Port interface (Desktop,Laptop). (Monitor or Projector) with a MiniDisplay Port interface (Desktop,Laptop). Application Connects desktop or laptop PC to a 10/100mbps network. Accessories Driver CD, Quick Installation Guide. 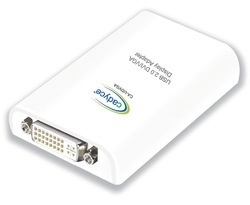 The Mini Display Port to VGA adapter enables you to connect any VGA interface to embedded device (Monitor or Projector) with a Mini Display Port interface (Desktop,Laptop). 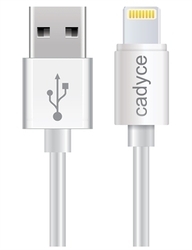 Cadyce USB Lightning Cable CA-ULC2 allows you to charge and transfer music or data to / from your iPod, iPhone, iPad and also supports Windows PC or Mac. We are Authorised Partner for leading Networking Brands such as Cisco, Cadyce, Aten, HP, OWC, TrendNet, AMP, Molex, Edimax, D-link, TP-Link etc. We are having a global presence. Our thrust areas include Networking, Office Automation, Corporate Communications and Lifestyle Multimedia products. We have wide range of products to cover your valued needs and requirements. 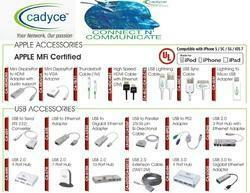 We Offer all types of Apple Accessories from Cadyce Brand. All the products have required Certifications as per International Standard & are covered under Warranty. 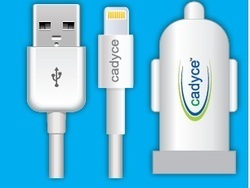 Cadyce, has been awarded with the Licence from Apple US to manufacture cables & other accessories for Apple computers/iPhone/iPad. 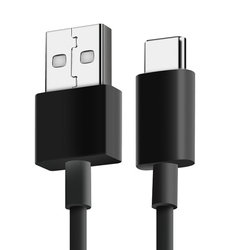 Having prominent support from our technically advance team of engineers and other working staff, we manage to manufacture quality products like USB Lightning Cable. 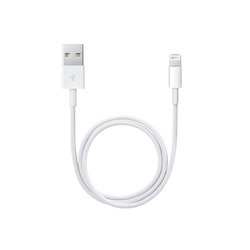 This cable is known for allowing charging and transferring of music or data to / from iPod, iPhone, iPad. It also supports windows PC or Mac. Being error free in functioning, our manufactured device is in great demand among the clients for their data transferring purposes. IPod, iPhone, iPad and also supports Windows PC and Mac. 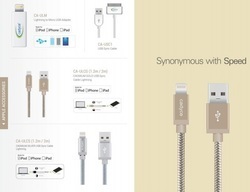 We are betrothed to provide the premium quality USB Lightning Cable. The offered cable is manufactured using the finest quality raw materials with the aid of latest technology under the stern guidance of our dedicated professionals. This cable is used to transfer the data from one media. In addition to this, our valuable clients can purchase this cable in different specifications at rock bottom prices. 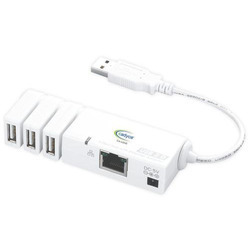 We are one of the acclaimed names undertaking the manufacturing work of premium grade 3 Port USB 2.0 Hub with Ethernet Adapter. Quality raw material sourced from trusted vendors and high-end technologies are used by us while fabricating the device. The adapter is widely known for supporting both full-duplex and half-duplex operations. Meeting the customized technical requirements of the clients, we have been fabricating the adapters in varied specifications. 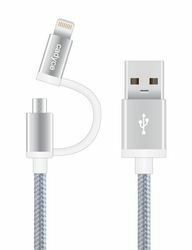 USB Sync Cable with Lightning connector, CA-ULCS (3m) allows you to charge and transfer music or data to / from your iPod, iPhone, iPad and also supports Windows PC or Mac. 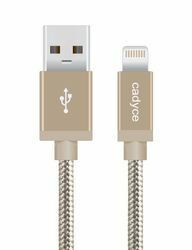 MFi Certified Lightning to Micro USB Adapter CA-ULMCadyce Lightning to Micro USB adapter allows you to sync and charge your iPhone, iPad, or iPod with Lightning connector using micro USB cables and chargers. supports Windows PC and Mac. 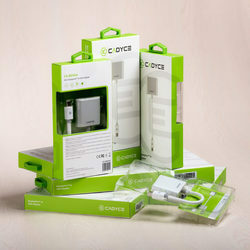 USB Sync Cable with Lightning Connector CA-ULCG (1.2m) allows you to charge and transfer music or datato / from your iPod, iPhone, iPad and also supports Windows PC or Mac. Compatible with iPhone 5/5C/5S/6/6 Plus, iOS 7, iOS 8, iPod touch (5th Generation), iPodnano (7th Generation), iPad (4th Generation), iPad mini / mini 2 / mini 3, iPad Air / Air 2 Ultra compact and elegant design Apple MFi Certified Made for iPod, iPhone, iPad Easy to use and Plug and Play Compatible with USB 2.0 CADMiUM Gold, Cotton braided with metallic connectors. 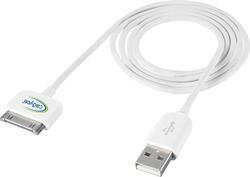 USB Sync Lightning and Micro USB 2 in 1 Cable allows you to sync and charge your iphone, ipad, ipod andcompatible micro usb devices. Compatible with iphone 5/5c/5s/6/6 plus, ios 7, ios 8, ipod touch (5th generation), ipodnano (7th generation), ipad (4th generation), ipad mini / mini 2 / mini 3, ipad air / air 2 ultra compact and elegant design apple mfi certified made for ipod, iphone, ipad easy to use and plug and play cadmium silver cotton braided, metallic connectors compatible with all micro usb devices features other productsca-ulc1 ca-usc1 ca-ulmca-mdhdmi ca-mdvga ca-mdhdcca-ulcs (1. 2m) ca-ulcm. 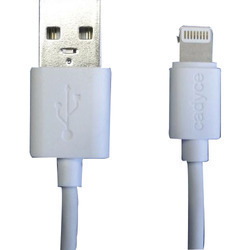 We are offering USB Sync Cable with Lightning Connector, CA-ULCG (2 m) allows you to charge and transfer music or datato / from your iPod, iPhone, iPad and also supports Windows PC or Mac. Compatible with iPhone 5/5C/5S/6/6 Plus, iOS 7, iOS 8, iPod touch (5th Generation), iPodnano (7th Generation), iPad (4th Generation), iPad mini / mini 2 / mini 3, iPad Air / Air 2 Ultra compact and elegant design Apple MFi Certified Made for iPod, iPhone, iPad Easy to use and Plug and Play Compatible with USB 2.0 CADMiUM Gold, Cotton braided with metallic connectorsFEATURESOTHER PRODUCTSCA-ULC1 CA-USC1 CA-ULMCA-MDHDMI CA-MDVGA CA-MDHDCCA-ULCS (1.2M) CA-ULCM. 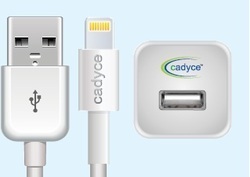 CA-C2C allows you to sync and charge your USB-C™ enabled devices such as new MacBook, Chromebook Pixel etc. Color White with metallic silver connectors. 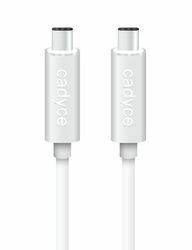 USB Sync Cable with Lightning connector, CA-ULCG (3m) allows you to charge and transfer music or data to / from your iPod, iPhone, iPad and also supports Windows PC or Mac. 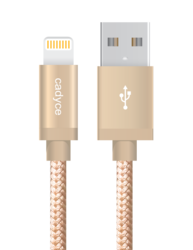 USB Sync Cable with Lightning connector, CA-ULCR (1.2m) allows you to charge and transfer music or data to / from your iPod, iPhone, iPad and also supports Windows PC or Mac. 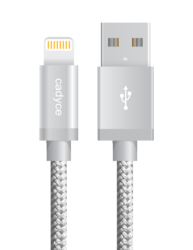 USB Sync Cable with Lightning connector, CA-ULCG (1.2m) allows you to charge and transfer music or data to / from your iPod, iPhone, iPad and also supports Windows PC or Mac.